Building a mobile form has never been this easy. Start with one of our free industry-specific form templates or have us custom build your first form for free. doForms requires only a web browser and a mobile device to get started. 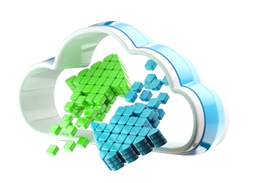 Use the hosted doForms web portal to build forms, manage users, view data and generate reports. Forms can be built in under an hour and uploaded on your mobile devices in seconds! doForms is currently available on iOS, Android and from your desktop or mobile browser. Go far beyond your paper form, Excel spreadsheet or PDF document. doForms lets you easily integrate powerful features right into your mobile forms. Dispatch mobile forms containing critical job details to mobile workers in real-time. With the doForms Dispatch module, you know exactly when the device received the form and when your employee viewed it. You can even capture GPS location information at the same time. doForms uses your mobile device to scan barcodes and read NFC tags. You can even use bluetooth handheld laser scanners. With doForms scanning, you can scan a product, automatically find the product record, and update all relevant fields seamlessly. Make sure your pricing is always up-to-date and in the hands of all of your customer-facing employees. With doForms you can change a price with a single click of a button, updating every mobile device automatically. Product data can easily be built right into the form. Pick a product and doForms fills in the price. Enter the quantity and doForms does the calculating for you, including tax and shipping. Try doForms out for 30 days, no strings attached. We’ll have you building forms in no time! 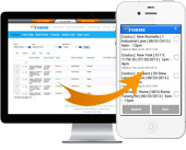 doForms powerful form building technology enables the collection of field data accurately and quickly. And, with Sync & Save you can now bring data back into your legacy systems quickly and seamlessly. With Sync & Save two-way data sharing has never been easier. Robust data collection tool suite with data integration and secure mobile user management. Allocate work in real-time and track employee and job activity with rich two-way communications. Noscotek is an authorised doForms distributor for South Africa. Visit their website for more information.